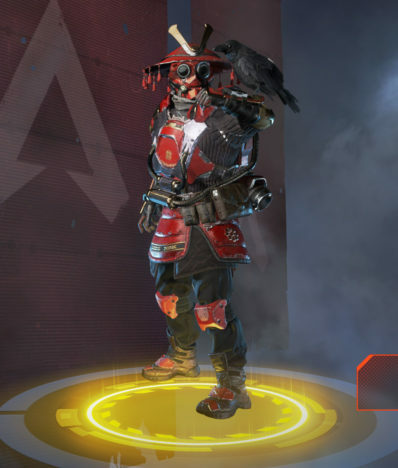 Home » Apex Legends » Apex Legends Bloodhound Guide – Tips, Abilities, & Skins! We're taking a detailed look at the Bloodhound Legend who can track down enemies! 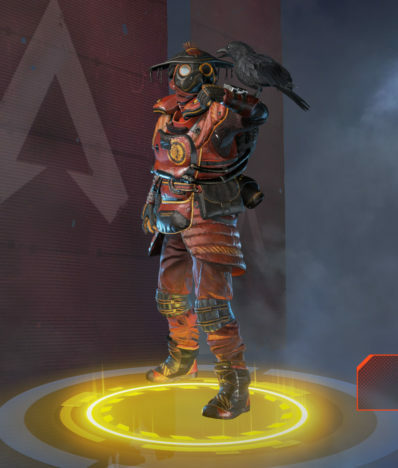 Our Bloodhound Guide for Apex Legends walks you through everything you'll need to know to take advantage of this Legend character. We're featuring background information, gender, abilities, passive, skins, tips & tricks, and got some high quality wallpapers of the class to use! Bloodhound is currently the only tracker class in Apex Legends. This makes them very unique, and is a useful class for identifying where enemies are or have been. While you don't get flat out wall hacks, you do get an idea of the most recent areas an enemy has been which makes Bloodhound particularly useful in close quarters. Bloodhound's voice was supplied by Allegra Clark. There seems to be questions around Bloodhound's gender. According to the person who supplied the voice for the character, Bloodhound is non-binary. Bloohounds' abilities revolve mainly around tracking and being able to locate potential enemies. It can be done with the passive that uses clues based on spent shell casings, footsteps, and blood trails! This is the tactical ability for Bloodhound. You can use this to check areas for possible enemies, or get a good idea where everyone is spread out inside a building. You get a snapshot of where the enemies currently are, but it does not track their movement after that initial use of the skill. It's important that once you use this and get an idea of where people are that you use your pings to relate this to the rest of your team. This is a pretty interesting ability and can be quite useful for tracking down enemies that are on the run or that you are fighting against. It will show you small clues like blood from a wounded player, where a player died, what weapon was used to kill them, bullet casings, footsteps, recently open doors, and other small information that can be quite useful. Bloodhound's Ultimate Ability is pretty interesting and unique. You get very fast movement, and your sensing ability heightens which allows for you to find enemies much easier. You aren't invulnerable or have damage reduction while this is taking place, so don't try to be Rambo and go full bore at your enemies. However, due to your speed of movement you can flank quite effectively. 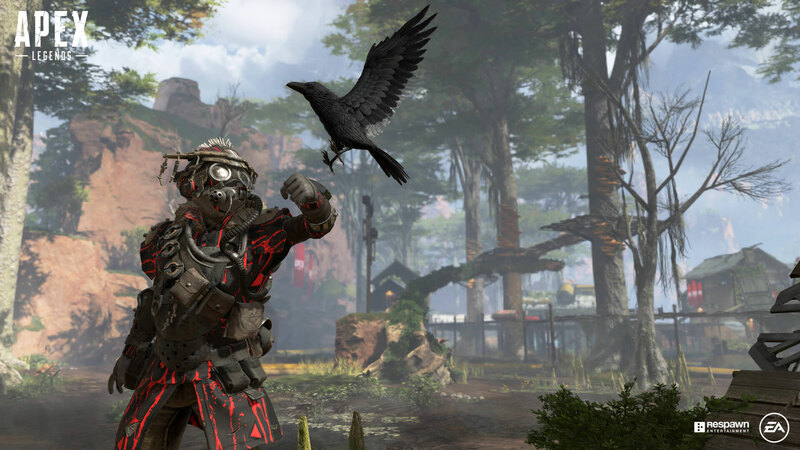 Enemies will be highlighted in red, you will be able to see them through smoke and other potential abilities that obscure vision. This does not allow you to see enemies through walls, so be careful in tight quarters because you could be surprised still. Recent footsteps will also be highlighted in red, so you can track them down if they evade you. The Beast of the Hunt ultimate ability lasts for 35 seconds. 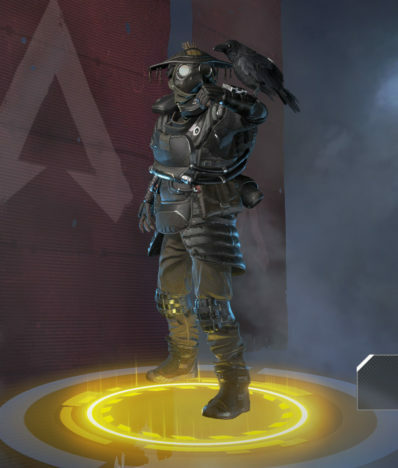 Bloodhound can work very well with shotguns such as the Peacekeeper. 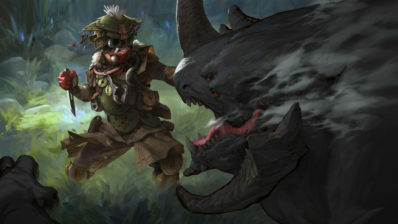 If you are an aggressive player then the Beast of the Hunt ultimate works well with this play-style and you can run in and shotgun people down. This is an iffy way to play, but the ultimate combined with the heavy damage of the shotgun works well together. Your tactical ability while potentially revealing enemies also reveals you as well! The orange radar light that emits from the ability is seen by everyone, so they will know when they've been spotted and will know you are nearby. If you are trying to remain hidden, don't use the ability! Keep a close eye on the clues you'll find on the ground. While they mostly identify enemy movements, you can learn what kind of weapon has been used by checking the spent casings or what was used to eliminate a player. Knowing what type of weaponry you are up against may alter your play-style. Use your ultimate from a bit further away from your enemy than you would think. It lasts quite a while and you can cover a ton of ground before they realize you are on top of them. This gives you nice flanking opportunities. You are best paired with a character that can obscure the environment. You have a huge advantage with your ultimate and tactical ability in being able to see through smoke or poison. 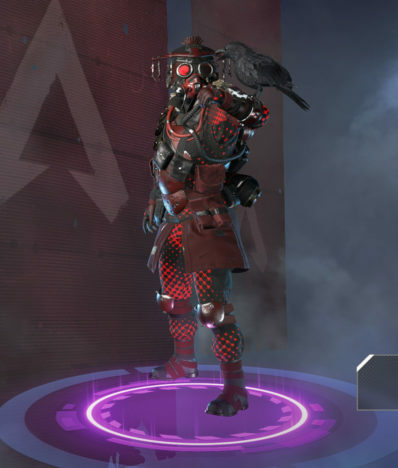 Bangalore in particular is good and has the ability to launch smoke, and Caustic has gas that makes it harder to see. Gibraltar can also work because his ultimate bombards an area and kicks up a ton of dust. Always remember that Eye of the Allfather shows an enemy's last location and not their current location. It's easy to assume someone will be right where the yellow outline is only for them to have moved and catch you off-guard. Use your pings as much as possible! 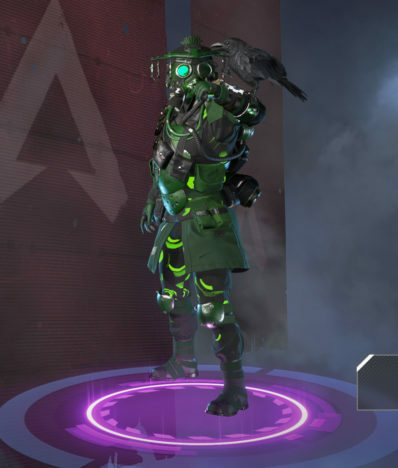 This is good to do with all characters, but it's even more important with Bloodhound whose main utility is tracking the enemy. Take a look at some of the skin options for Bloodhound! Here are some high quality Bloodhound wallpapers sized to 1920x1080 for your desktop! 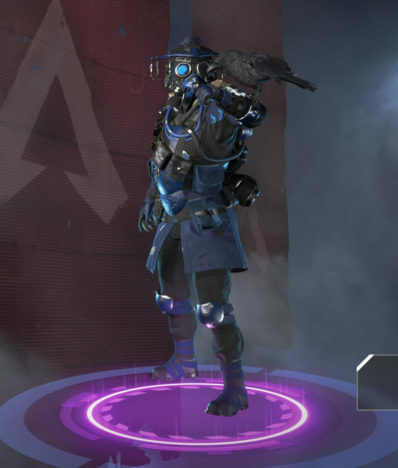 Hey, sometimes when playing bloodhound I see if not several groups of ravens. Do they appear at random or an obscure game mechanic? 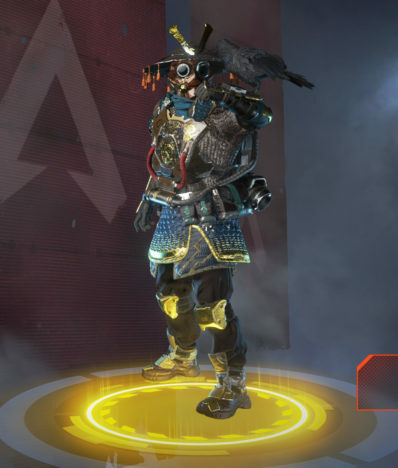 omg, you literally made me hop in the game and try this out. I have to know, what do the crows in the game do for Bloodhound? I see them in groups and whenever I walk near them they fly away. Do they serve any purpose to bloodhound at all? I don’t think they do anything, they are probably just part of his lore. 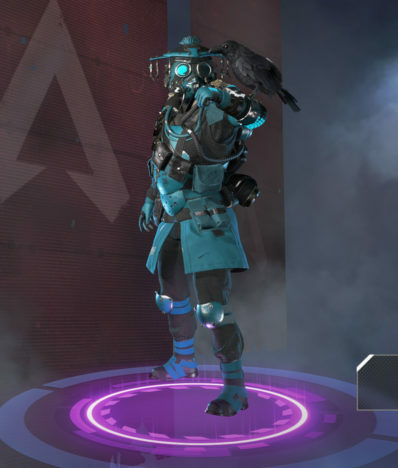 Maybe they are the ones giving him the clues on the enemy locations. I think its an indicator that there are fresh footsteps nearby.